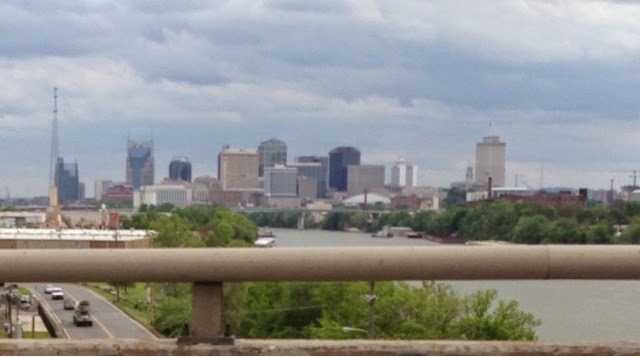 Today's travels I decide to take US70 from Memphis, TN to Nashville, TN rather than use the Interstate. I do get to see the countryside but also some different things. 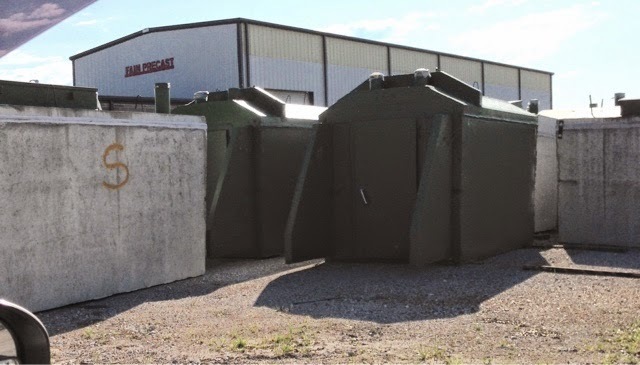 This is a company that sells storm shelters. People in tornado prone parts od the country these could be a life saver since most houses do not have basements. The ones above are for in the ground as they have a top hatch. 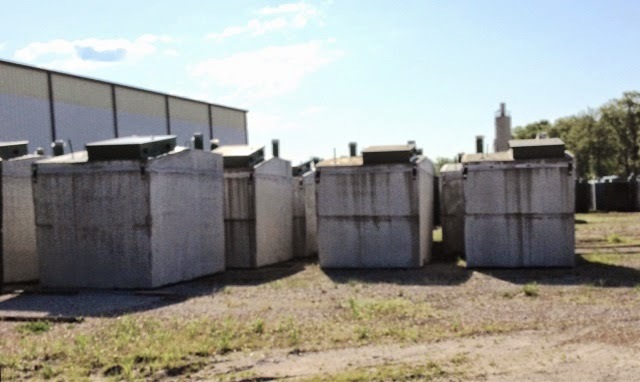 These storm shelters are walk-in. 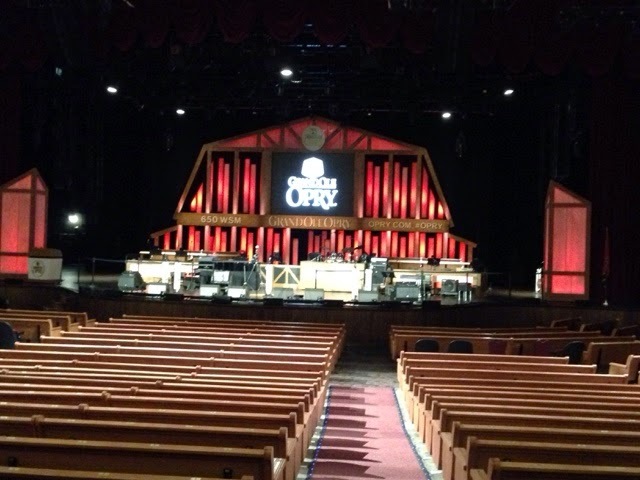 My tour for today is the Grand Ole Opry. My GPS took me to the Opry Mall and I thought it was wrong as we are miles from downtown Nashville. I remembered to ask for any discounts and when I did they offered AAA, so it pays to ask. I just wish they published it so I don't forget to ask. They also have a Millitary discount too. 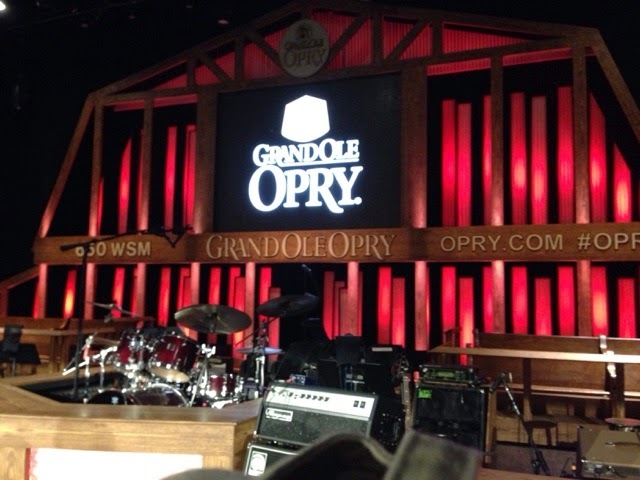 Well the sign says Grand Ole Opry so I must be in the right spot. 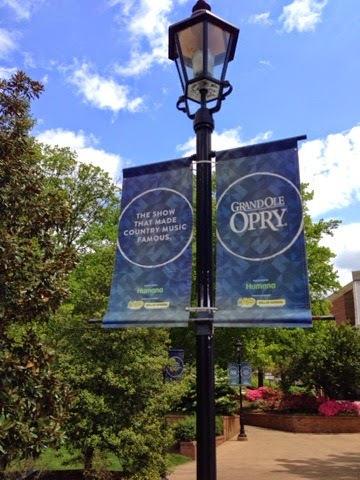 I would later find out that the Grand Ole Opry did start downtown but moved here after they outgrew the theater in town. 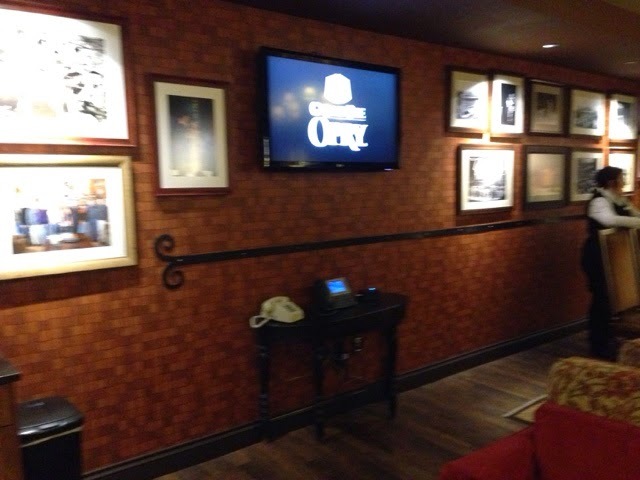 In fact, the Grand Ole Opey was the entertainment and never about the location. 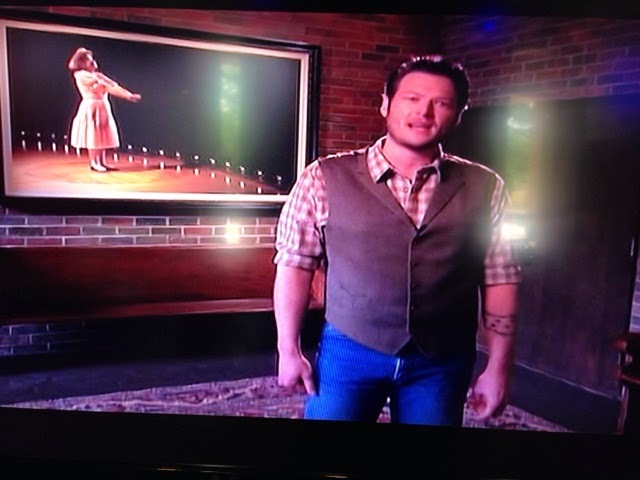 We start the back stage tour with Blake Shelton on video. He provides the introduction and will later describe the artist's area. The tour guide fills in the tour. 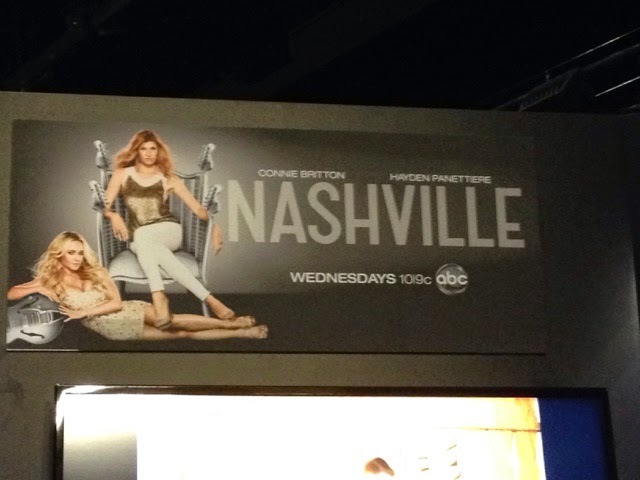 Many shows like Hee Haw were filmed here and now the TV show Nashville is filmed here too. 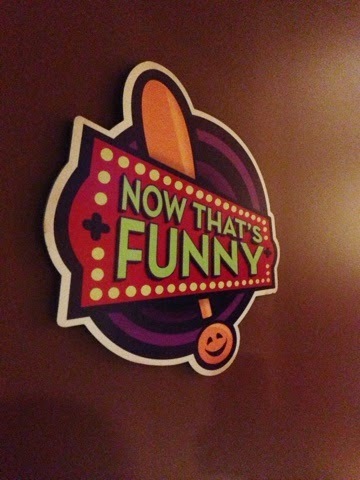 We are in the area of the artist dressing rooms. 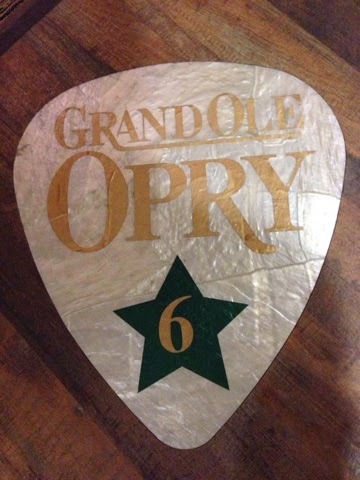 Each is numbered with an image of a guitar pick. Each room also has a theme like the one above. 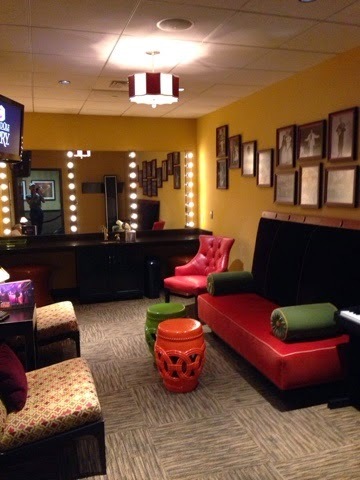 This is the green room. Notice the black line on the wall. This is the high water mark from a flood. 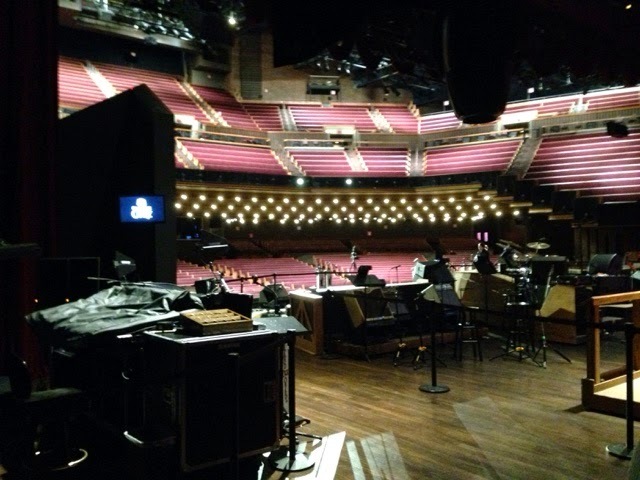 Here is a picture onstage looking out to the audience. Here is the orchestra area on stage. There are bleachers on the stage for family of the guest stars. 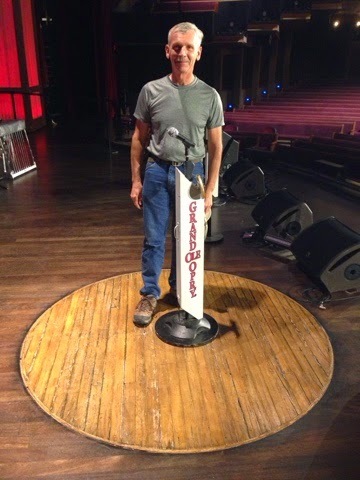 The Canadian couple on the tour took this pictur of me on the original flooring from the theater downtown that was brought here when they built this venue. 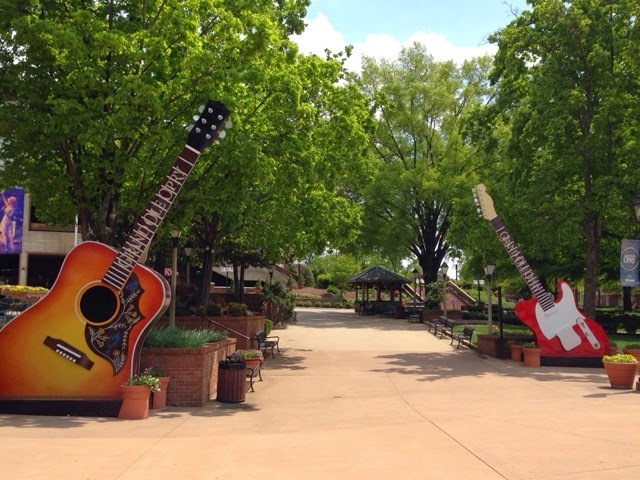 I was asked about country music and my favorate artist and I fessed up and told the woman giving the tour that I am not a country & western music fan but will listen to it from time to time. The couple from Canada that was with me knew all kinds of country & western music artists and facts. So I was asked why I came. I said I was always interested in what I saw as a national icon and that I should go to learn more about it. 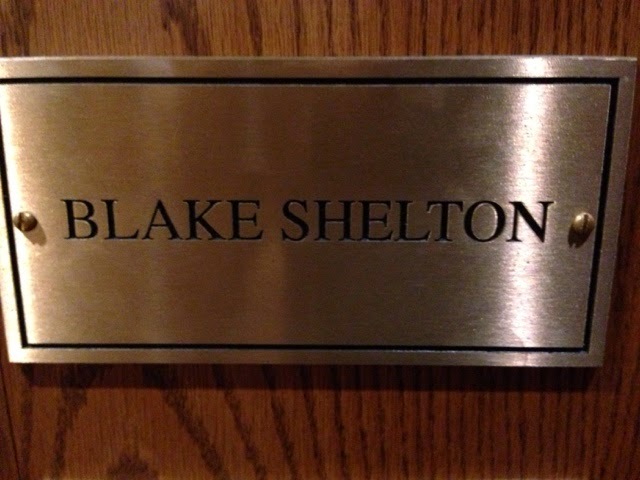 I am guessing that I was out of place as this back stage tour must be for the diehard country & western folks. Lastly I was asked if I was seeing a show this week. Strike 3 - I replied that I was just passing through. Unluke the Canadians that we're seeing a show Saturday. 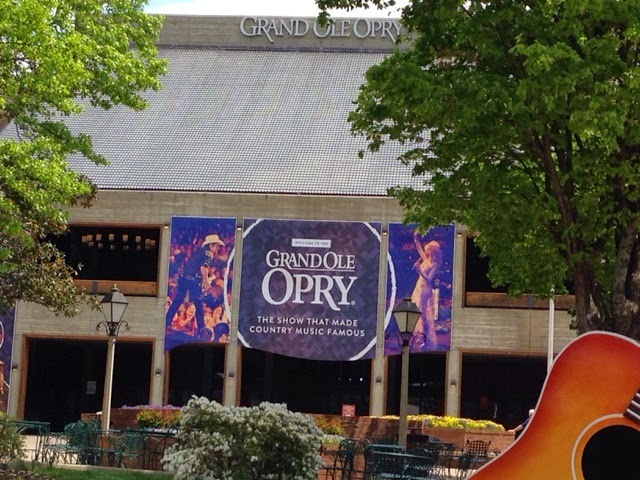 No matter I enjoyed the tour and I did know a number of older country & western artists, even though I was not a Hee Haw watcher. 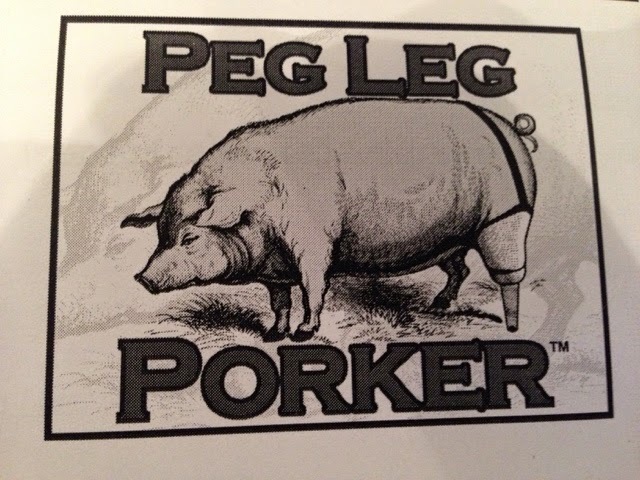 Well, it was on to find a better restaurant for pork than last night. In fact I was even more disappointed with the meal I had on Beale Street. 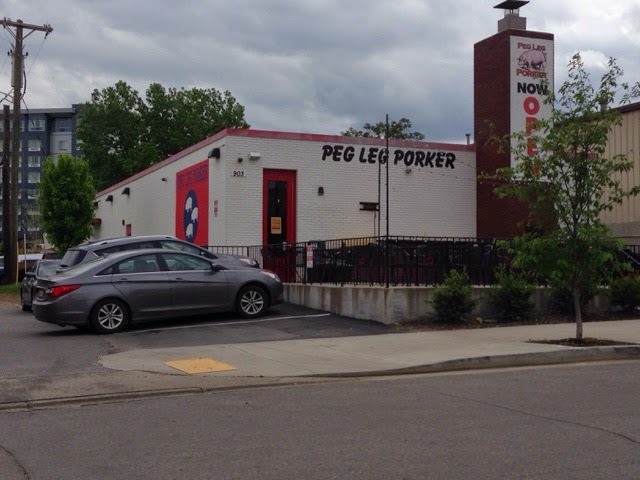 My choice today was Peg Leg Porker in Downtown Nashville. I was told they are famous for their dry rub ribs. So that is what I got and it didn't disappoint. The portion of ribs was twice last night. The beans were home made not canned as last night. It was less expensive and you get a "to go" drink that you fill up before you head out. Oh they had silverware too. 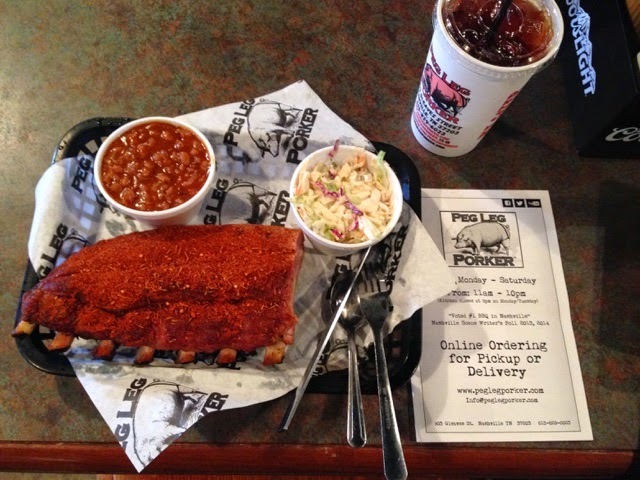 Now this is the way a pork rib meal souls be! 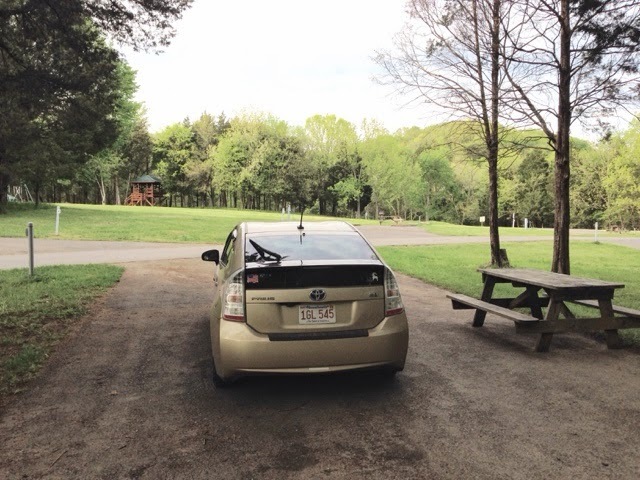 I was off now to find my camping for the night at a state park. 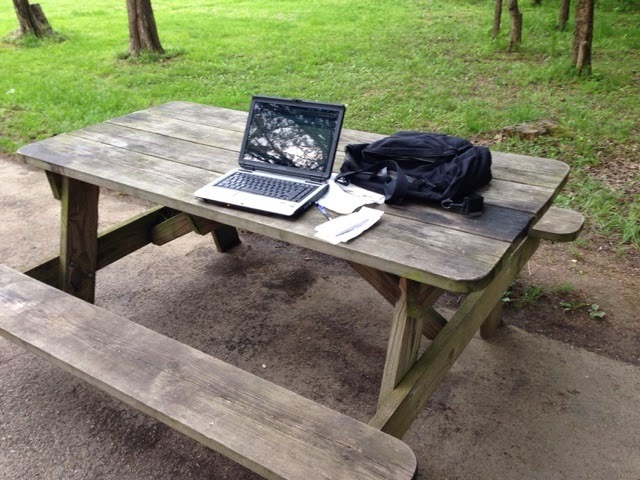 I even got a chance to update my expenses before dark. 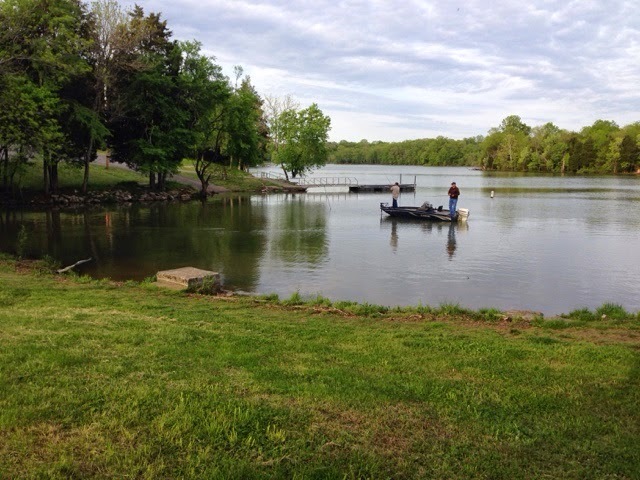 I tried to pay for the night but the two camp hosts were gone and I spoke to a man that seemed to be in the know, and he said if you don't see anyone don't worry about it and enjoy. This is what I did. It was 37 this am and the bathrooms are heated and the showers were unlimited hot water. It was nice.